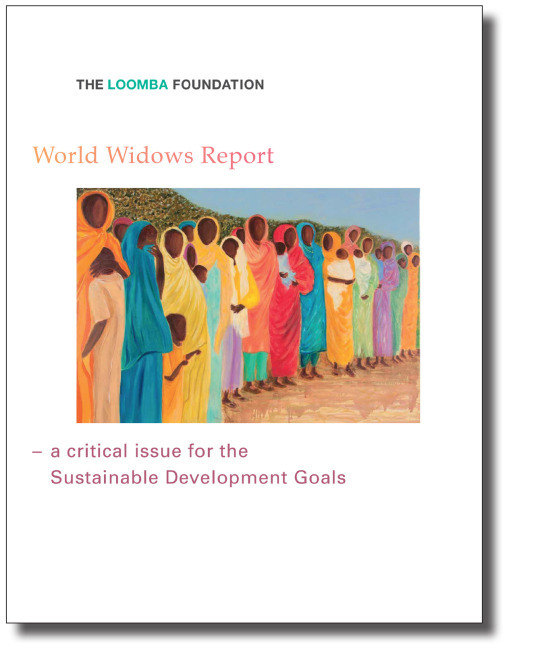 The Loomba Foundation’s World Widows Report was launched on March 17, 2016 at the United Nations in New York by Lord Loomba, World Widows Report editor Kasper de Graaf and former UK international development minister Baroness Northover. At the UK Mission to the United Nations, New York. 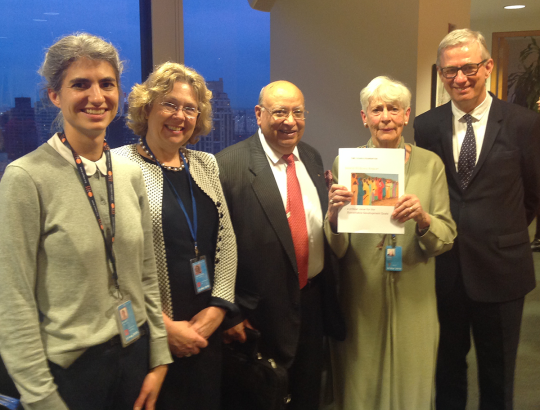 Pictured l-r: Julie Morizet (Foreign Office), Baroness Northover, Lord Loomba, Margaret Owen (Widows for Peace), Kasper de Graaf. 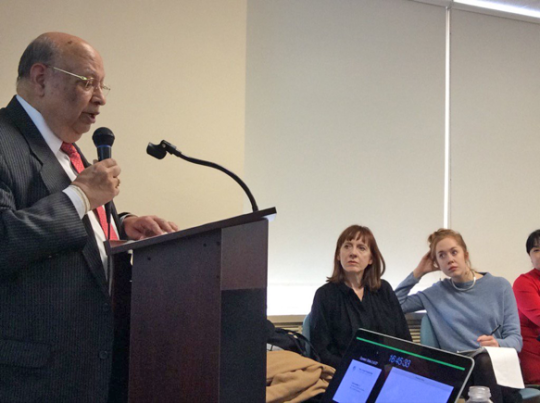 The World Widows Report was launched by Lord Loomba at the United Nations in New York on March 17, with a warning that the Sustainable Development Goals will not be achieved unless urgent action is taken on the issue. The report shows that discrimination against widows is deeply ingrained in cultures across all continents, resulting in extreme poverty, gender-based violence, child labour, discrimination against girls, increased infant mortality and numerous other severe consequences which directly affect almost a billion people around the world. Significant change in these patterns will only come about if the underlying causes are directly addressed through legislation, education and empowerment. 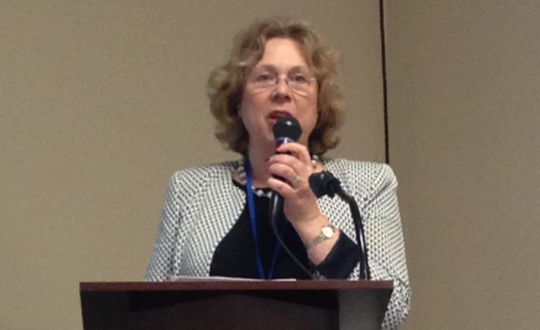 As long ago as 2001, UN Women said that “there is no group more affected by the sin of omission than widows. They are painfully absent from the statistics of many developing countries, and they are rarely mentioned in the multitude of reports on women’s poverty, development, health or human rights.” The Loomba Foundation began addressing this omission and its World Widows Report is the first comprehensive compilation of available research about the plight of widows country by country and worldwide. It provides governments, NGOs and international organisations with an evidentiary basis for taking effective action and creates a baseline for further research. The Report shows that discrimination against widows is a deep-rooted feature of gender discrimination all over the world, though its form and impacts differ from place to place and from culture to culture – from shocking stories of child widows below the age of 10 in parts of India, and widows in some African countries forced to undergo degrading “cleansing” rituals. Deprivation however extends also to developed countries, with widows in the former Soviet Union and in the United States significantly disadvantaged compared to their peers. The deprivation of widows has knock-on effects on future generations, depriving dependent children of education and increasing the incidence of child labour, trafficking and prostitution. Countries affected by conflict and disease take far longer to recover as a result of the unjust treatment of their widows and these factors present major obstacles to achieving some of the recently adopted Sustainable Development Goals, including the aims to end poverty in all its forms everywhere and to achieve gender equality and empower all women and girls. 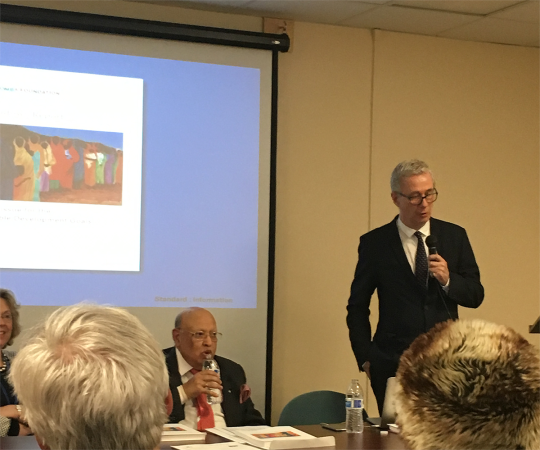 The launch took place at a parallel event during the 60th anniversary meeting of the UN Commission on the Status of Women, which took place in New York last week. 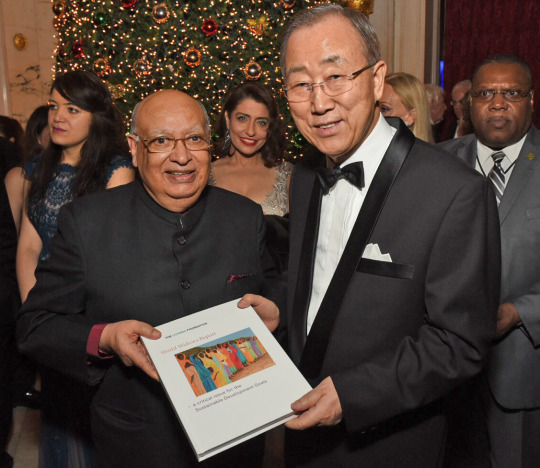 Earlier, its publication had been welcomed by UN Secretary-General Ban Ki-Moon, Deputy Secretary-General Jan Eliasson, the prime minister of India Mr Narendra Modi and the director of the Royal Institute of International Affairs at Chatham House in London, Dr Robin Niblett. The Loomba Foundation has championed the cause of widows since it was first established by Lord and Lady Loomba in 1997 with a pledge to educate at least 100 children of poor widows in each of India’s 19 states within a decade – a target it achieved in seven years. In 2005 the Foundation launched International Widows Day to be held as a global day of action on 23 June each year, and mounted a campaign which resulted in the unanimous adoption of International Widows Day by the United Nations General Assembly five years later. Today, The Loomba Foundation is a UN ECOSOC-accredited NGO specialising in this issue. Lord Loomba, Founder and Chairman Trustee of The Loomba Foundation and Vice-Chair of the UK All-Party Parliamentary Group on the Sustainable Development Goals, told the meeting that The Loomba Foundation will continue its research and advocacy work to bring about the cultural change that is needed to eradicate this issue. The Foundation will continue working with the UK, Indian and other governments to ensure that the plight of widows is addressed in the work to implement the Sustainable Development Goals, and plans to establish a Global Consortium of Widows to help achieve these aims. Copies of the Report can be obtained here.